Wow. 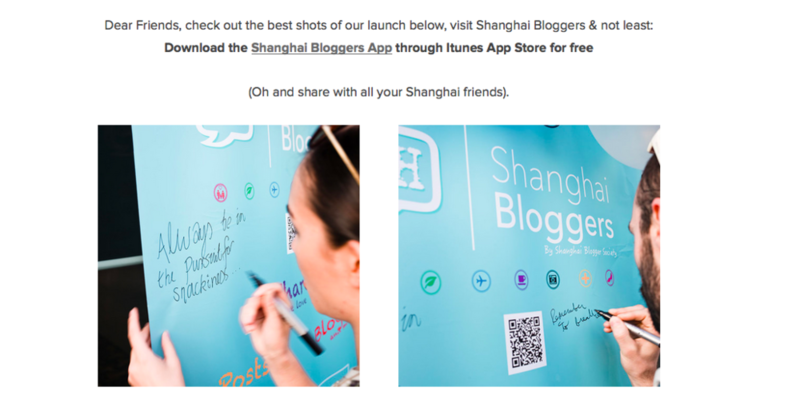 It's already been one week since our official launch of Shanghai Bloggers! What a launch. If you missed it, scroll down to check out the photos of our amazing evening on top of Shanghai with bloggers, partners, media & Shanghai guests. A big THANK YOU to our amazing bloggers who have made an effort to share the launch of Shanghai Bloggers from their eyes. And being so grateful for the gifts & support from our amazing partners. As Line says: Go Download the Shanghai Bloggers App now and read & see much more from our amazing bloggers. Aaaand remember: Sharing is Caring! Newer PostDo We Have Some News For You?